Vongfong passed over Fukushima Daiichi as a fairly sedate tropical storm. This didn’t leave the plant completely unscathed. We reported earlier on the spike of cesium, beta radiation and tritium at monitoring well 1-6 on the sea front. An updated TEPCO report now shows significant spikes in manganese 54 and cobolt 60 in the same groundwater well. TEPCO now states that they will sample the sea front monitoring wells daily to track what is going on. These additional readings may help determine where this plume of highly contaminated groundwater may be going. 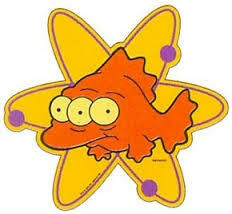 TEPCO also cited a number of rainwater leaks into the reactor and turbine buildings. These are somewhat expected due to the damaged nature of the buildings. Unit 1: First floor south side electric equipment room of the turbine building. Water is suspected to have come from the waste treatment building roof into the reactor turbine building. Unit 2: First floor near the inlet port operation of the turbine building. Suspected of coming in through building doors. Unit 3: First floor northeast Unit 3 reactor building. Suspected to have come from the west side of the first floor. Unit 4: First floor near the inlet port of turbine building. Suspected of coming in through building doors. **Update** NRA sea readings near Fukushima Daiichi showed a very small increase in beta radiation leaking into the Pacific south of the plant the days after Phanfone passed over the plant.